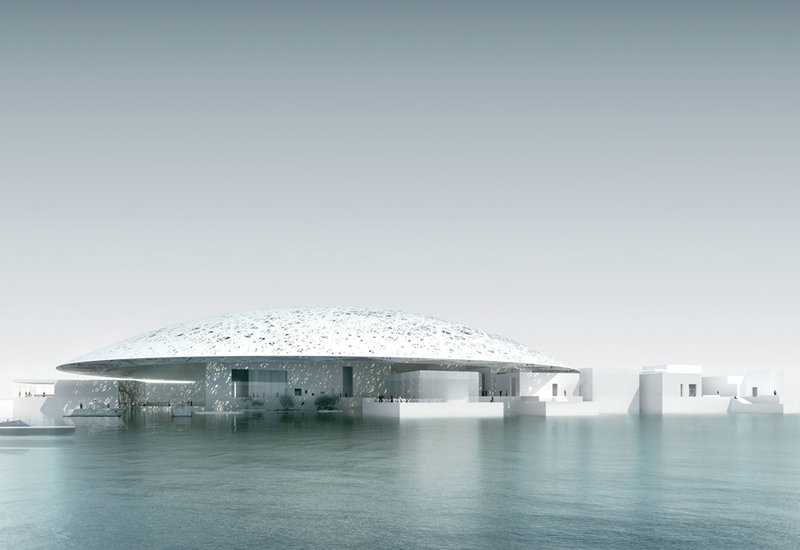 The Louvre Abu Dhabi will open to the public on 11 November. The museum’s inauguration, which comes ten years after the signing of a €10 billion contract with the French institution, is due to be officially confirmed at a press conference in the Emirate this morning. The culture project is a major diplomatic coup for the region and will include a two-day visit by the French President Emmanuel Macron, according to information shared with The Art Newspaper. “We are finally going to leave the realms of the imaginary and discover not only the architectural design of Jean Nouvel, but the content of a new museum, conceived under a bilateral agreement that makes it an absolutely unique creation”, Louvre director Jean-Luc Martinez, told us in Paris before he left for Abu Dhabi to attend the press conference held by the culture ministers of both countries. The green light for the opening was given by the French national museums’ security services, which carried out the final checks at the Abu Dhabi museum in August, after months of exchanges with the architect’s team and the museum’s leadership. The hanging of the collection and inaugural show started on Monday, 5 September, after the first shipment of works arrived from Paris. They include heavy stone sculptures that have to be placed in the galleries first, including the loan of Greco-Roman and Egyptian statues from the Louvre, a group of marbles showing Apollo served by the Nymphs commissioned by Louis XIV for a grotto at Versailles, and Abu Dhabi’s collection of Roman columns. A second delivery of objects is expected this week. About half of the works to go on show are long-term loans from the Louvre and other French museums, while the other half come from the national collection of Abu Dhabi—620 works purchased over a decade with the technical help of the Louvre and kept in storage in France. Manuel Rabaté, the director of the new museum, says he is confident the deadline for the opening can be met: “The countdown has started. All our teams are fully ready and we are thrilled to be in the final stretch.” However, hanging 600 to 700 works in two months seems daunting, especially given the diversity of the international collection which range from antique bronzes and African wooden figures to Islamic silver, Byzantine coins and contemporary art. The opening festivities, from 11 to 15 November, will be marked by cultural events and visits from museum directors from around the world. The café and the children’s museum will also be opened, but it will still take months before all the site’s facilities, which include a scientific center, are fully functional. The first exhibition, entitled From One Louvre To Another and curated by Jean-Luc Martinez, will open on 22 December and will deal with the history of the Louvre in Paris, from its early foundations as a residence that housed the royal collection to its creation as a public museum during the French Revolution. Further details on the formal inauguration in Abu Dhabi are not known yet. But as Manuel Rabaté says: “It is a museum that the Emirate offers to the world.” The French President is expected to use the opportunity to push his anti-terrorism agenda, which is his top foreign policy priority. During the annual conference with French ambassadors on 29 August, he mentioned the creation of the Alliance for the Protection of Heritage in Conflict Areas (ALIPH) as a significant step. Following in the footsteps of France, the Emirates and others, a representative from China confirmed that the country will contribute to the $100m global fund next year. ALIPH’s board plans to meet in Geneva on 12 October to elect its chairman, and hopes to have its first projects operational before the end of the year.